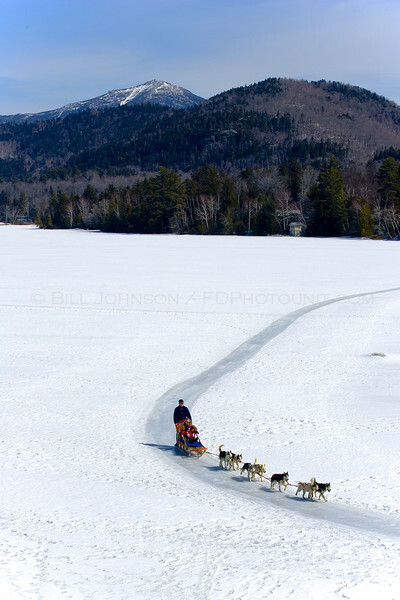 Dog Sled on Mirror Lake in Lake Placid. Shot was taken from my room at the Golden Arrow Inn which is where we stay whenever we go to Lake Placid. Whiteface Mountain can be seen in the backround.